State pension benefits cut for couples: are you affected? Changes to the way a crucial state pension benefit is paid could see couples losing £7,000 a year when a new act of parliament is introduced in on 15 May. Currently, couples of mixed ages are able to claim pension age benefits, such as pension credit, as soon as the eldest partner reaches state pension age. Once the changes come in, however, couples will only be able to claim pension age benefits once the youngest partner reaches state pension age. The change is predicted to hit the UK’s poorest pensioners who have a partner that is of working age. Pension experts warn that the change could leave some couples more than £7,000 worse off a year. Here, we explain why the changes are coming into force and what it could mean for your pension income. Guarantee credit: which tops up your weekly income so it reaches a minimum sum set by the government. Saving credit: an extra payment from the government to reward you for saving towards your retirement. To claim pension credit, you need to have reached state pension age which is currently 65 for both men and women. In 2012, Parliament voted on the Welfare Reform Act, which introduced universal credit and made significant changes to the benefits system. One of those changes was to only allow mixed-age couples to claim pension credit once the youngest partner reached state pension age. This was to ensure that younger people don’t get additional benefits as a result of having an older partner. The DWP told Which? Money: ‘This change was voted on by Parliament in 2012 and means, for new claims from 15 May, only pensioners can claim pension credit. Find out more: how do I qualify for the state pension? How many couples will be affected? Mixed-age couples who make a claim for pension credit from 15 May 2019 onwards will be affected by the change. This means that couples who make a claim on 14 May 2019 will not be affected by the change unless they have to make a new claim from 15 May. The DWP estimates that 60,000 mixed age couples will be affected by the 2023-24 tax year. Pension experts warn that the change could leave pensioner couples worse off, potentially causing some to lose over £7,000 a year. Sir Steve Webb, director of policy at Royal London told Which? : ‘These changes to benefits will create a real cliff edge between those under the old and new rules. ‘If you are fortunate enough to come under the current rules then you will be treated as a pensioner couple even if one of you is under pension age. ‘But after May, you will be treated as a working age couple even if one of you is retired and drawing a state pension. ‘The difference could run into many thousands of pounds. This issue highlights the gulf in the generosity of the system between pensioners and people of working age. 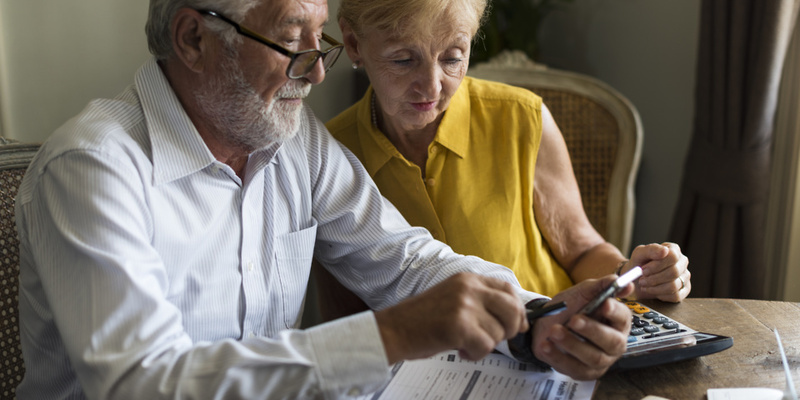 Tom Selby, senior analyst at AJ Bell, said: ‘Tens of thousands of mixed-age couples are facing a £1bn hit as a result of the Government’s pension credit raid. ‘With pension credit worth up to £13,273 a year versus £5,986 a year for Universal Credit, at the extreme those affected could be over £7,000 a year worse off as a result. ‘While policymakers can reasonably argue this change has been in the offing since the Welfare Reform Act 2012, that will be little solace to those affected who face a potentially significant retirement income shortfall. When can I claim the state pension? The state pension age is currently 65 for both men and women and will continue to rise until it reached 66 in October 2020. It will rise again to 67 between 2026 and 2028. Use our state pension age calculator to work out when you’ll qualify for the state pension. How to apply for pension credit? Around four million people are entitled to pension credit but, according to the government, only a third of those eligible fail to claim. Check out our guides on pension credit and the state pension for more information.